For over 2 1/2 years Comodo Internet Security has stood atop the results chart of the Matousec Proactive Internet Security Challenge 64. Matousec is an independent project that tests security software products and works with vendors to come up with innovative solutions for internet and computer security. The Proactive Security challenge is on ongoing test of internet security software suites for the Windows platform. 38 security suites participate, including all of the big names and some not so big names. All participants have been tested at least once within the past 6 months. The tests are organized into a series of increasingly difficult levels to pass and the security software must pass one level to proceed to the next. Only 6 suites reached level the 11th and final level, but guess what? Only 1 suite actually completed all 11 levels and we are proud to say that it bore the name Comodo! The chart below tells the story. 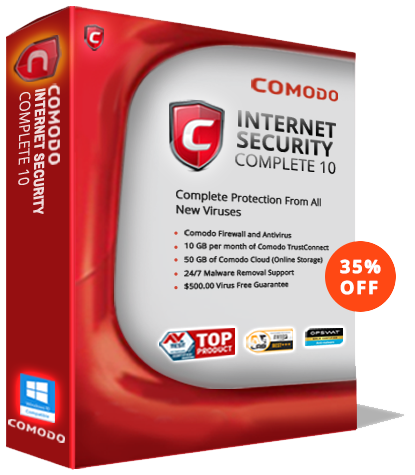 Comodo’s 97% final score is heads and shoulders over the pack.